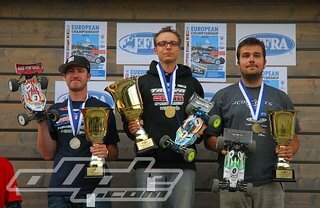 TRF501X wins with the European 1/10 off-road 4WD buggy championship! In the European championship of 2007 1/10 RC electromotive off road buggy which is held in Finland, Austrian Hubert Hönigl (Hupo) which uses Tamiya TRF501X won. He therefore becomes succesor of his land colleague Peter Pinisch and replaces at the same time also his 2WD EM title from 2006 with the 4WD EM title in 2007! 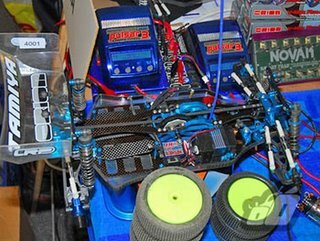 Hupo could drive out the pole position with his Tamiya in the qualification. 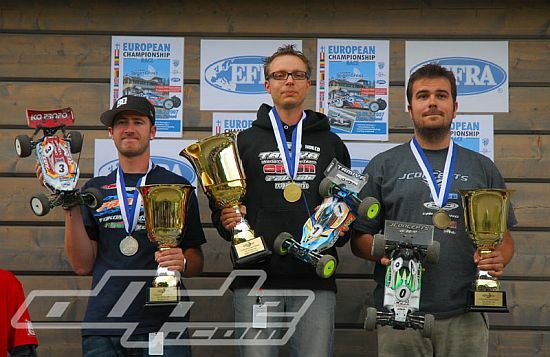 Nevertheless, the British Neil Cragg won the first finale, Hupo became only fourth. This meant that Hönigl should absolutely keep his poles position in the last two finales if he still wanted to become a European champion. Hupo did it, he won both last runs before Neil Cragg, third became Richard Cree. This entry was posted in Event Report on July 31, 2007 by admin.